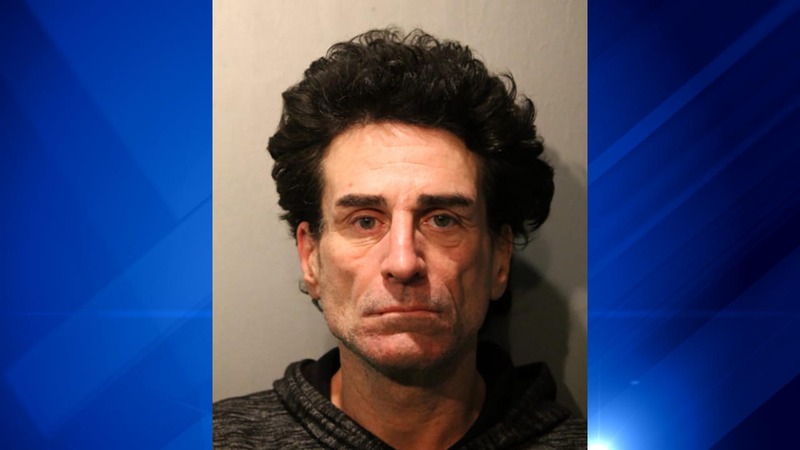 CHICAGO (WLS) -- A 51-year-old man from west suburban Elmwood Park was charged in connection with two robberies in Chicago's Gold Coast neighborhood. Todd Howe, who police said is a convicted felon, was taken into custody Thursday morning in west suburban Cicero. Howe was arrested after he was identified as the suspect in two separate crimes in the last two months: an armed robbery in January and a jewelry store theft in February. Around 11:50 a.m. on Jan. 24, Howe allegedly took several items from a department store in the 900-block of north Michigan Avenue. Police said he pointed a gun at a 27-year-old male employee on his way out. Around 1:50 p.m. on Feb. 23, Howe allegedly grabbed a ring from the hands of a 67-year-old female jewelry store employee as she was showing it to him. He then fled the store, which is located on the same block as the department store, police said. Howe was charged with felony robbery with a firearm and felony theft. He is due in bond court Friday.